I started to develop alopecia when I was 17 years old. It was only patches at first then it grew back. After my 18th birthday, it accelerated and within five months I had lost most of my hair and was wearing hats and head scarves. I got my first wig in September 2011. At school I was bullied for having ginger hair, so losing my hair was really upsetting as it was such a big part of my identity. I was sitting my A Levels at the time and was constantly worrying about whether or not someone could see a bald spot during my exams. I was also worried that if the bullies found out, they would have used it against me. My Fixers project is to let others know that having alopecia doesn’t have to be a daunting experience. It’s quite a taboo subject so I want to reassure people that they’re not alone and there’s nothing to feel ashamed about. 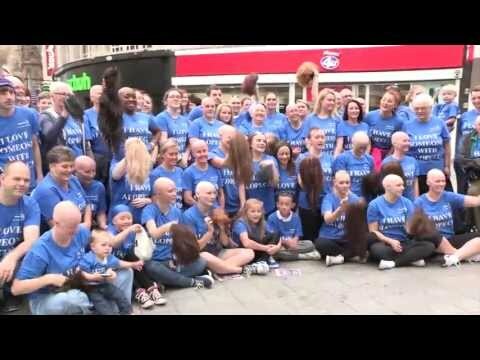 The charity supports my Fixers project and invited me to attend their flashmob event in September 2013, where I handed out my Fixers leaflet to raise awareness about the hair loss disease. My story was featured in the Daily Express!